The 1st contender is Xaisay Repsel Mendiola who studied Tourism Management. She has her own ukay-ukay and a real estate seller. The next contestant is Jastine Magdalena who took up Mass Communication. She is currently on a 2-year relationship with their son and runs an ice candy factory. Last but not the least is Carla Mae Zeta who is a graduate of Culinary Arts. She has a huge crush on Bamboo Manalac and has her own ice cream brand. When the 1st question was asked, Carla Mae immediately got the right answer and will advance in the 2nd round. Meanwhile, the remaining contestants are gunning for the remaining spot. 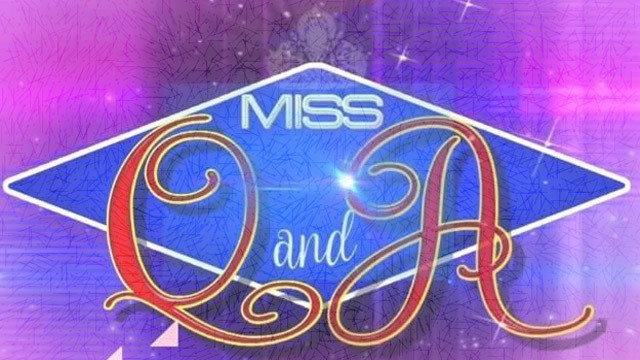 For the 2nd question, Jastine gave the correct answer and will also advance in the next round while Xaisay is eliminated. Carla is called and her question says; if your ex-boyfriend who cheated on you will have a caroling in your house, will you shrug him off? She answered that she will welcome him on their home because Christmas is the season where we should forgive someone who committed mistakes. Jastine is the next one to be called and her question says; if you are going to have a caroling to someone who doesn’t have money but will just give you a certificate of appreciation, will you accept it? She replied that she will receive it because it just means that you are admired by him. Based on their answers, contestant no. 2 is going head to head with the reigning queen. Jastine and Rianne are going to answer the question that says; what will be your reason to refuse a gift that will be given to you this coming Christmas? The daily winner said that she will decline to accept a gift if he or she is not on her will to give it to you. On the other hand, the defending winner said that rather than accepting the gift , she will just give it to someone who needs it more because she believes that the true essence of Christmas is giving. After a deliberation, Rianne is still the reigning queen for the 8th time.